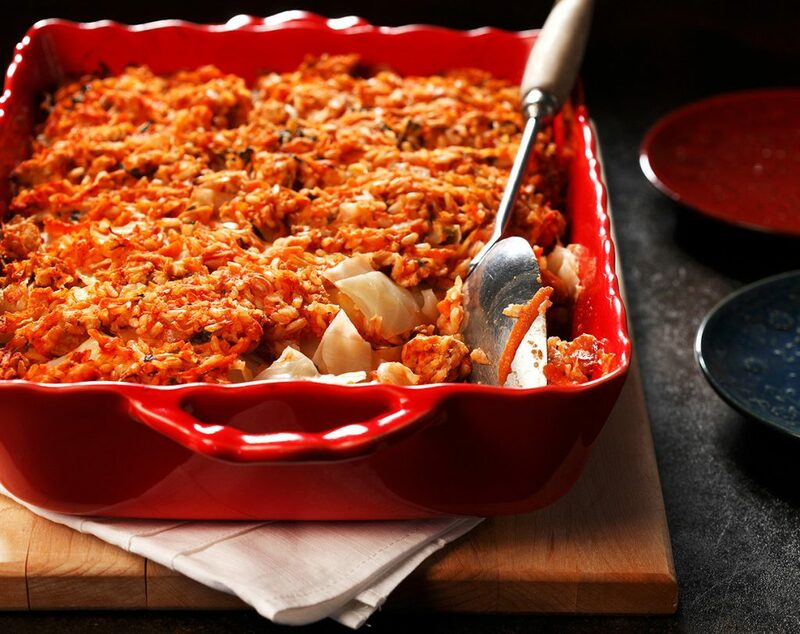 Give your cabbage rolls a healthy makeover by stuffing them with ground turkey and brown rice. Add some vegetables and flavour with freshly chopped herbs. 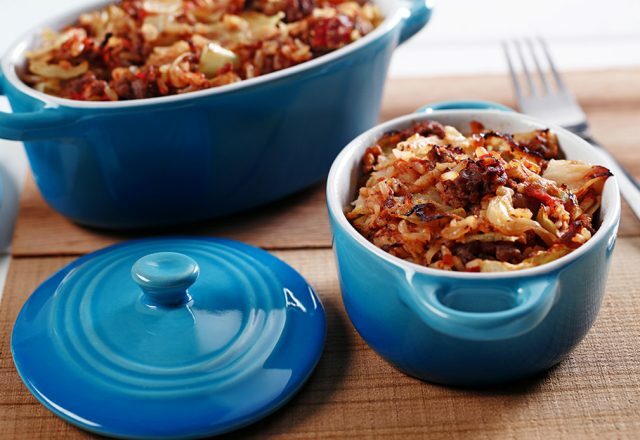 Perfect for holiday buffets or potluck suppers. In a large non-stick fry pan, heat canola oil over medium heat. Add onion and garlic and sauté until softened, about 4-5 minutes. Add ground turkey and continue to cook until the turkey is cooked through and the juices run clear. Stir in carrot, parsnip, no salt added tomato sauce, rice, parsley, dill, mint tomato paste, Worcestershire sauce and cayenne pepper. Heat through. Transfer cabbage to a large pot of boiling water. Blanch cabbage for approximately 2-3 minutes. Drain cabbage. Lightly oil a 9 x 13 inch (22 x 33 cm) baking dish. Cover bottom of pan with 1/3 of the meat mixture. Layer half the cabbage on top of the sauce. Add another third of the meat mixture. Add the rest of the cabbage, followed by the remaining meat mixture. Cover dish and bake at 350°F (180°C) for 35- 40 minutes. Uncover dish and continue to cook until hot and bubbly, about 20 minutes longer.